Eri Kroh, a commercial real estate developer, didn’t know what he was about to get into when an agent took him “just to look at” a 30-acre plot of land in Bel Air 15 years ago. Initially eyed as a business opportunity, Kroh began envisioning the dirt, for which he paid $6 million, as the setting for his family’s dream home. Blueprints were even drawn up, with the names of his children written in their planned bedrooms. But securing entitlements from Los Angeles for what would be a 40,000-square-foot mansion dragged on…for almost two decades. “He had no idea how long it was going to take,” said Lynn Teschner, his agent at the Agency. Finally given the go-ahead to build but with his kids now grown, Kroh has put the sprawling piece of land on the market. Asking price: $60 million. He is among an increasing number of property owners who are now listing their undeveloped land lots for tens of millions of dollars. The parcels are entitled for residential building, so potential buyers can forego the city’s arduous process — just ask Kroh — and move right to construction. The recent spurt of land-only listings comes as fully built, luxury homes sit on the market, unable to trade even with discounts and deal sweeteners. Since last summer, at least 317 acres in Beverly Hills and Bel Air alone have hit the market, seeking more than $1 billion combined, according to a property review by The Real Deal. The most expensive, the so-called Mountain of Beverly Hills, was listed for $1 billion last summer, before it was slashed to $650 million in February. In addition to Kroh’s $60 million parcel, the estate of Microsoft co-founder Paul Allen is selling 120 acres in Beverly Hills for $150 million. 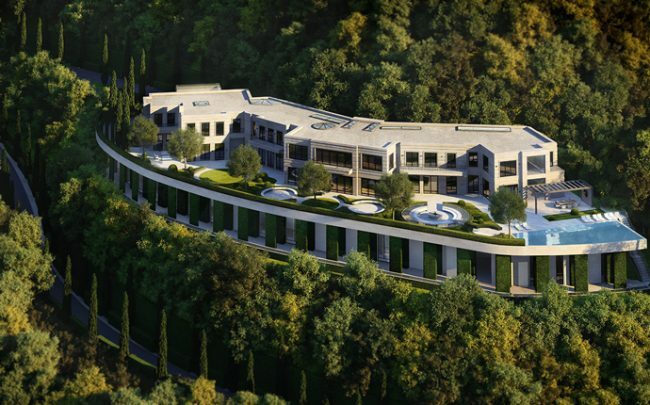 Near the Hotel Bel Air, developer Domvs London and investment firm Junius Real Estate Partners are selling a 10.6-acre spread, rezoned into three separate lots, for $150 million. 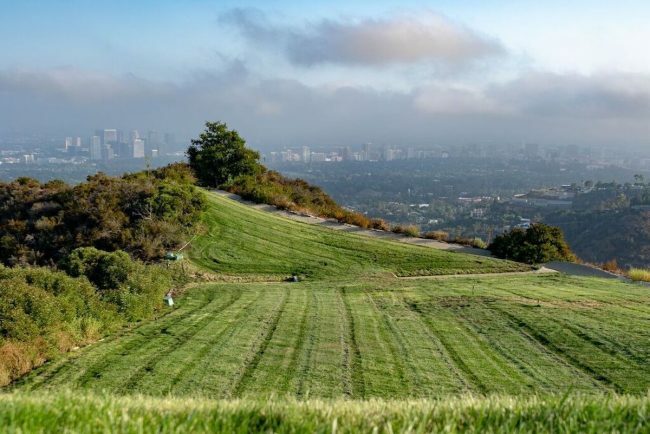 And this week, an 18-acre parcel near Lake Hollywood Park hit the market for $30 million. The undeveloped land was once owned by former first lady Betty Ford. Compass broker Tomer Fridman points to L.A.’s spec home craze of 2014 to 2016 as the reason all the pricey land listings have been hitting the market. Construction permits filed years ago are finally getting approved, he said. And in a market that has seen home sales steadily dip — especially in luxury real estate — property owners are not wasting any time. There is also incentive for potential builders of massive mansions. The land listings come with approvals for home that are much more extravagant than what is permitted today, Teschner said. It is a similar situation in L.A. for commercial properties. Recently, developers have been selling their shovel-ready sites at a premium, luring buyers who don’t want to deal with the years-long process of zoning changes. Even when a property is fully entitled, there are obstacles. Escrow transactions, especially, are more complicated because unlike a home, land deals have nothing to inspect except the dirt. “There’s a lot of investigation into what has actually been approved and what you can actually build there,” Fridman said. Often times, the city will leave the permits “a little ambiguous,” resulting in a “very complex due diligence process,” he added. There’s also the potential financial risk for owners who hold onto a piece of undeveloped land, even entitled, because it doesn’t have the easy appeal of a built home. Case in point: the selling entity behind 157-acre Mountain of Beverly Hills, which would likely be a multi-home project, has already lowered their ask to attract a sale. For an agent, selling the undeveloped plots of land come with their own set of challenges. 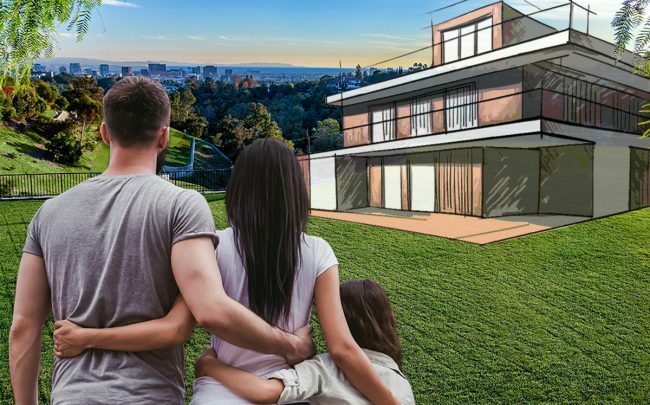 While the vacant parcels allow buyers flexibility to customize as they wish, they also make it difficult to imagine a house on the property and to convince someone to shell out millions just for the land. “You need to have a buyer that actually has a vision,” Fridman said. Teschner, from the Agency, added that land listings also require tens of thousands of dollars spent in marketing videos and renderings.